Colorado is a beautiful state that many people love to visit. It offers a variety of activities for the whole family to take part in. 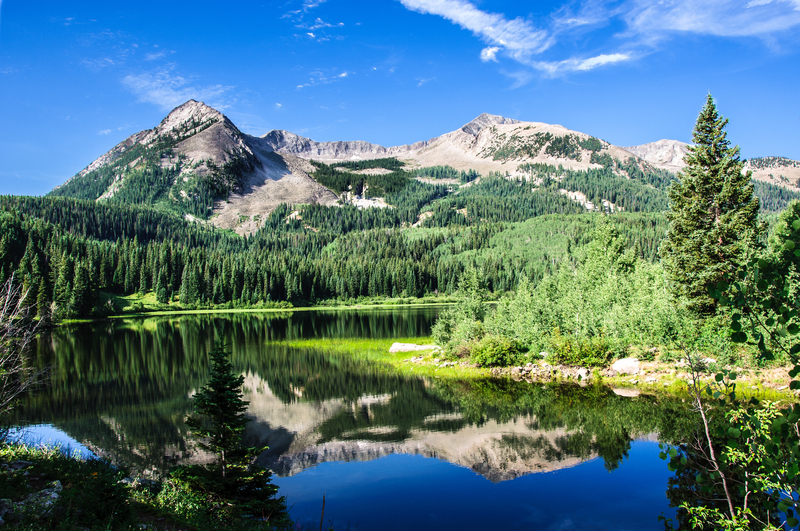 While many people take long vacations to enjoy all that the state has to offer, many others choose to make their stay permanent by moving to Colorado. In either case, auto shipping proves to be the best option, as it is easy, safe, and fast. Visit Colorado. When you are in need of auto shipping services, National Dispatch is the company for you. We provide high quality services at a competitive price. Below, you will find just a few of the reasons why people choose to ship their vehicle with National Dispatch. Although you may love your Colorado home, winters are too cold for you. You hate waking up to see snow and ice covering the ground. What many people do to remedy their adversity to the cold is travel to a second home that is located in a warmer climate. You will want your car through your extended stay. Therefore, a great option is to have it shipped to the destination. In doing so, you avoid having to make a long drive in the snow. This allows you to hop on a plane and get to warmth much sooner than you could if you drove the many miles it would take to reach your destination. Read more on snowbird car shipping. You are moving to a new home. A relocation can be stressful. You have to figure out how to get yourself, your family, your belongings, and your car to your new home. You could drive to your new location, but then you have to worry about lodging, food, gas, and the added mileage you would put on your vehicle. At National Dispatch, we can take some of the stress off your shoulders. We have several different options to help you and your family have a stress-free move. Read more on residential moves. You bought your dream car through a dealer-to-dealer trade. It may be easier to buy your car from a local dealer, but sometimes they do not have the exact color, model, or features that you want. For example, you live in Colorado, but your dream car is in California. If you communicate with your local dealer, they can help you get the vehicle you want by making a trade between dealerships. Now, you own your dream car. However, you must figure out a way to get the car to you. This is where we come in. National Dispatch can pick up your new car from California and deliver it to you in Colorado. This provides you with the satisfaction of not having to drive out of your way to get your vehicle. Read more on dealer-to-dealer car trades. Buena Vista is one of Colorado’s best kept secrets. Within minutes of where you are staying, you can backpack, horseback ride, hike, kayak, and ski. The town is known for having beautiful scenery with unobstructed mountain views. People who love to relax may want to check out one of the two natural geothermic hot springs in town. At both locations, the public is welcome to enjoy the springs or receive a massage to wind down. Be sure to check out downtown where you can grab a drink and sit back and admire the mountainous views. Learn more about Buena Vista. Located in Colorado Springs, Garden of the Gods is a natural landmark and popular visitation site in Colorado. Admission into the park is free, so no need to worry about budgeting for a lavish excursion. The park has sandstone rock formations that can tower up to a whopping 300 feet tall. It is the most visited attraction in the whole region and offers many interactive exhibits to keep visitors entertained. Several activities can be purchased, as well. Many guests love to rock climb, hike, and horseback ride through the trails. When it is time to eat, stop by the glass-enclosed cafe which allows you to marvel at the views over lunch. This four-block pedestrian mall in Downtown Boulder has been known to be one of the happiest places on earth. As you walk down the path, you will notice bright-colored flowers that remain in bloom almost all year long. You will hear the performances of many street performers. You will see people eating and drinking at the nearby restaurants. This place is truly magical. It is a slower paced town that has become one of the nation’s best people-watching destinations. While you are there, be sure to check out the events calendar. The city of Boulder often puts on free events for the whole family to enjoy. Located in Steamboat Springs, Steamboat Ski Resort offers outdoor adventures and a variety of fun things to do. It is a family-friendly resort that caters to all age groups. In the winter, guests love to hit the slopes. If you have never gotten on a snowboard or skis before, the resort offers clinics that can have you feeling like a pro in no time at all. If winter sports are not your thing, the resort offers spa treatments, elegant dining, hot air balloon tours, mini-golf, zip lining, gondola rides, and hot spring adventures. Dinosaur, CO is known for its unique name and its rich paleontology history. At the Dinosaur National Monument, guests can see over 1,500 dinosaur fossils that are now exposed on the cliff face. These fossils come from a variety of dinosaur species. Guests can also see the petroglyphs that were left by an early society. This is a great educational experience that will be sure to grab your attention. At Dinosaur, you can camp, white water raft, and speak with rangers to gain further knowledge of life before we existed. National Dispatch is a nationwide auto shipping company. We offer a variety of services to meet both your needs and budget. To get a free, instant auto shipping quote, use our online quote calculator. No personal information is required. You can also call us at 800-321-2051 to speak with an auto transport representative.